My darling guitar, please rest in peace. © Copyright 2011 David Williams. All rights reserved. Love that you cant see the case. Lovely! Captured behind glass – you can barely tell. Interesting look and the story that goes with it is great, except of you not feeling well. Hope you feel better. That’s cool! Hope you sort your health out! Nice shot, and welcome back! 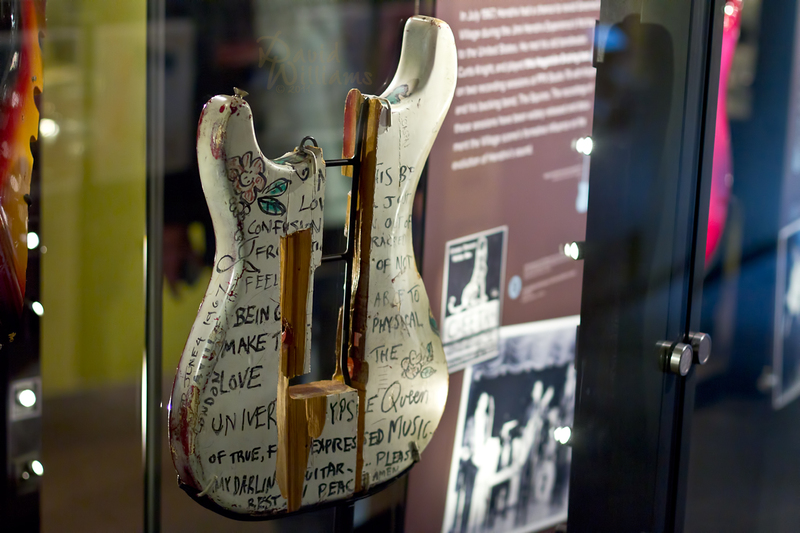 Wow, that guitar has really been destroyed! I like the contrast of the rough lines and texture of the guitar with the polished glass case.